The man in charge of the UK quitting Europe handed over, instead, 850 pages of heavily-edited details outlining the current position of different parts of the economy. Please remember this is the same man who promised MPs a year ago that his Brexit department was “in the midst of carrying out about 57 sets of analyses” on different parts of the economy. By October this year, he told the Brexit committee that Prime Minister Theresa May had read “summary outcomes” of impact assessments, which he said went into “excruciating detail”. Yet on Wednesday he admitted to the committee that “no systematic impact assessments” had in fact been carried out. What this means dear remainers and leavers is that it appears you have been lied to, conned and duped by Davis who said one thing a year ago, promised to deliver in October and now tells the nation today that his department can not deliver a formal assessment on how Brexit will affect the UK economy. On the subject of Muslims and media myths there seems to be some confusion over what we believe when it comes to Judaism and Zionism. Most Muslims have no problem with Judaism, a great Faith which has some close parallels to our own religion and Christianity whereas many Muslims are concerned about the political movement of Zionism which is relatively new (it emerged in the late 19th century) and represents Israel’s national ideology. In short Muslims do not have a problem with Jews and this has been wonderfully illustrated in north London where a group of Muslims planning to open a new mosque have joined people at their local synagogue to give blood as part of a national drive to help those in need. Plans to turn the Hippodrome in Golders Green into a Muslim community centre in September after it was bought by the Centre for Islamic Enlightening caused a dispute in the local community. While more than 5,000 people signed a petition to oppose the planning application to have the building turned into a Muslim place of worship, many in the Jewish community including the local Jewish media are supporting the Muslims. Members of the new Golders Green Islamic Centre gave blood at the community’s local synagogue as part of Mitzvah Day, a faith-based day of social action promoting good deeds. Meanwhile, in Leicester, Muslims joined the local Jewish congregation to bake Jewish bread called challah and make place mats for the homeless. Imam Ibrahim Mogra, assistant secretary general of the Muslim Council, said it was important for the Muslim community to participate. “It gives us an excellent opportunity to get to know our Jewish brothers and sisters, as well as people of other faiths,” he said. Like Jews and Christians, we Muslims pray to the same God and our Faith shares much with the other two Abrahimic Faiths. 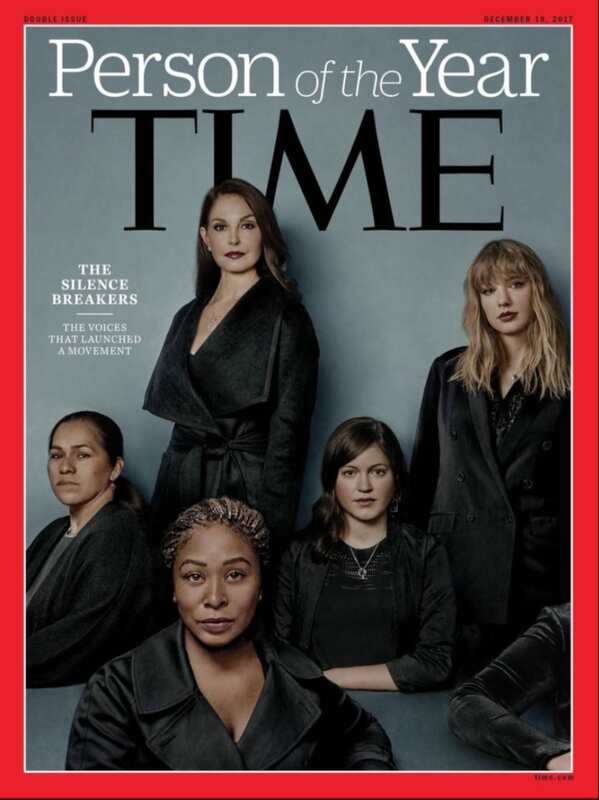 A massive Hi5 to Time magazine which has named “the Silence Breakers” – women who spoke out against sexual abuse and harassment – as its Person of the Year. Silence Breakers is part of the #MeToo hashtag which sprung up as allegations emerged against Hollywood producer Harvey Weinstein. This is great news for women everywhere. This great movement started with a few courageous individuals who threw away their right to anonymity to speak out. And solidarity also goes to a few brave men who did the same, too. And now for an item which I am unashamedly plugging in this forum although I must declare some self interest. As most of you know, I am a Muslim woman and one who chooses to cover although I do prefer a flat cap or trilby to the hijab. Like many hijab-wearing Muslim women it is extremely frustrating when we see platforms given to Muslim men to speak on our behalf! On television, radio, books and in the media there they are … masters of the universe pontificating about how we Muslim women feel. And if it’s not Muslim men then the media will talk instead to non-hijabis and non-Muslims and basically anyone but us. Hijabis have had enough! So a group of us have decided to do something really outrageous. We are building our own platform by contributing chapters for a book called Cut from the Same Cloth. Yes! Unbelievable, isn’t it? Around 15 middle and working class women of all ages and races have got together to write a collection of essays which will trample over the endless tired tropes pushed by the media to offer honest insight into the issues that really affect our lives. The publishers Unbound say: “From modern pop culture to anti-blackness, women’s rights, working life; this first of its kind anthology will examine a cross section of British hijabis and the breadth of our experiences. It’s time we, as a society, stopped the hijab-splaining and listened to the people who know”. This anthology will include essays from Sabeena Akhtar, Azeezat Johnson, Hodan Yusuf, Myriam Francois, Ra’ifah Rafiq, Raisa Hassan, Rumana Lasker, Shaista Aziz, Sofia Rehman, Suhaiymah Manzoor-Khan, Suma Din, Sumaya Kassim, Wasi Daniju and myself, Yvonne Ridley. So the Pope says he can’t remain silent over Trump’s barking mad threats to recognise Jerusalem as the capital of Israel. Good for His Holiness … pity he couldn’t have shown the same courage when visiting Myanmar. In an extraordinary act of self-censorship, he refused to mention the word Rohingya for fear of upsetting the brutal, genocidal maniacs who run Burma these days!Still, I suppose we should be grateful he’s found his backbone again. I am indebted to the very excellent pressure group MPACUK – who are quite robust in their opinions and actions when it comes to tackling Islamophobia – for policing the social networks to expose haters, bigots and racists. As you can see below, they have nominated someone calling himself Frankyfizz for making the “moronic comment of the day.” Nicely put and unusually restrained!